One of kind 18K T/T engagement ring. 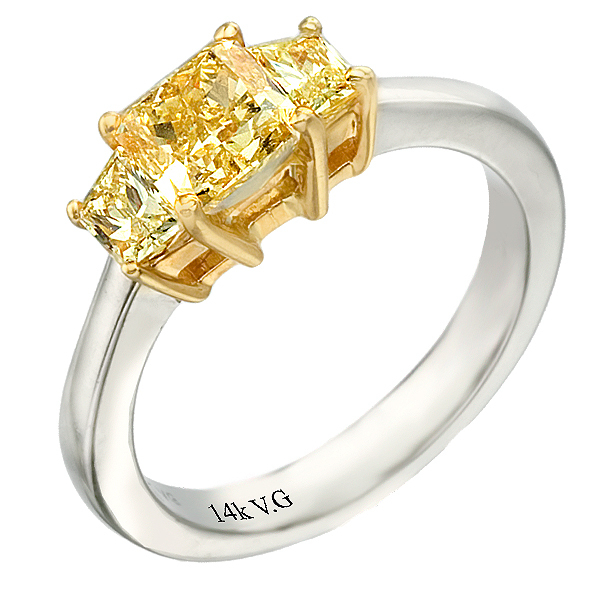 This gorgeous ring features 2.21 ct. cushion shape fancy yellow diamond supported by 0.78 ct. t/w diamonds. Made in USA by Variety Gem.